Previously I had asked a question about Adobe printing different colours between PC and Mac, but it turns out that my client is experiencing this issue when printing any documents. 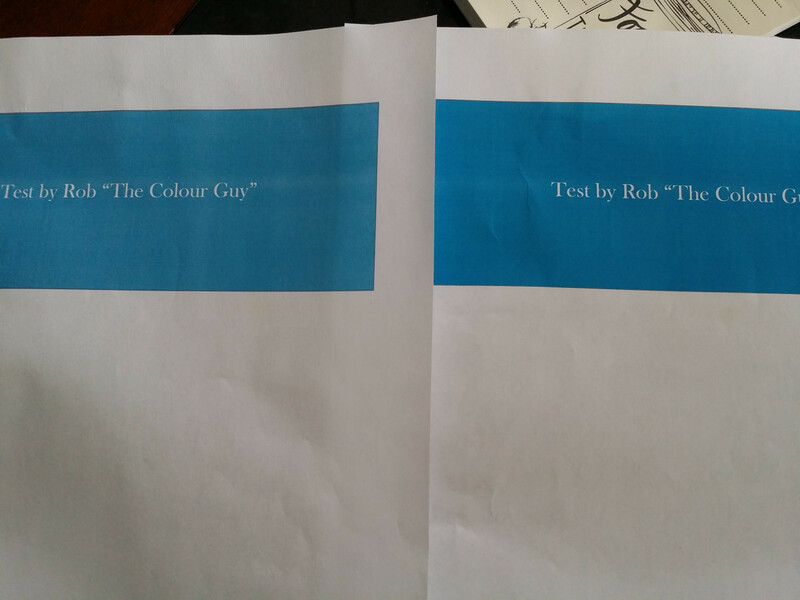 I was able to test print two versions of a client's brand-standard RGB value from two machines on the network and they were very different shades of blue. The problem appears to be at the OS (or perhaps driver?) level and not from, say, differing colour profiles within a program since the problem seems somewhat universal across the OS. They also mentioned another employee with a Windows machine as having "the same problem printing." These came from a Word doc (to test whether it was an Adobe-specific issue). They were both printing to the same Xerox WorkCentre 7835 over a network. The only other thing I can think to note is that I could not find any sort of colour management settings in the printer driver from the Windows machine. Just basic stuff like print-quality and supply levels. In my opinion is not just about operating systems but machine per machine basis. Did you ever installed a printer driver and color profile? Anyway. The best bet is to get one of this: http://www.colormunki.com/welcome/design and calibrate your equipment. Just read the licencing and see how many computers can be calibrated with one licence. I think one company on one location is ok with the licence. Always check your print settings. Make sure you let the program you're using manage the colors and adjust the print settings to account for the type of paper you're using. It's very possible that Mac and Windows have different default print settings which is probably why the colors are coming out differently. Not the answer you're looking for? Browse other questions tagged print-design color-profile color-reproduction or ask your own question.